Sony may not have an official PlayStation 3 price cut on the books, but indications that the console is due to get cheaper this year increase by one more. Amazon has recently cut the price of the priciest PS3 bundle. Evidence of an impending PlayStation 3 price drop? Not necessarily. But the availability of some PS3 models is on the decline, while incentives to clear out older stock increase. 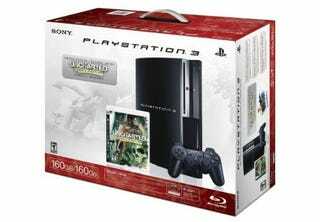 At the very least, its a better deal on a PlayStation 3 bundle that's due to become a bit less valued, as Uncharted 2: Among Thieves is just a few months out.